Videos rank on the first page of Google, this is why Mortgage Loan Officers need to add Videos to their marketing plan. Creating videos work with all avenues of marketing. By creating a video the loan officer can add that video to YouTube, Vimeo, a Blog Post and all the social media sites like Facebook, Twitter, Instagram, LinkedIn, ActiveRain, Google Plus Business Page and Tumblr. 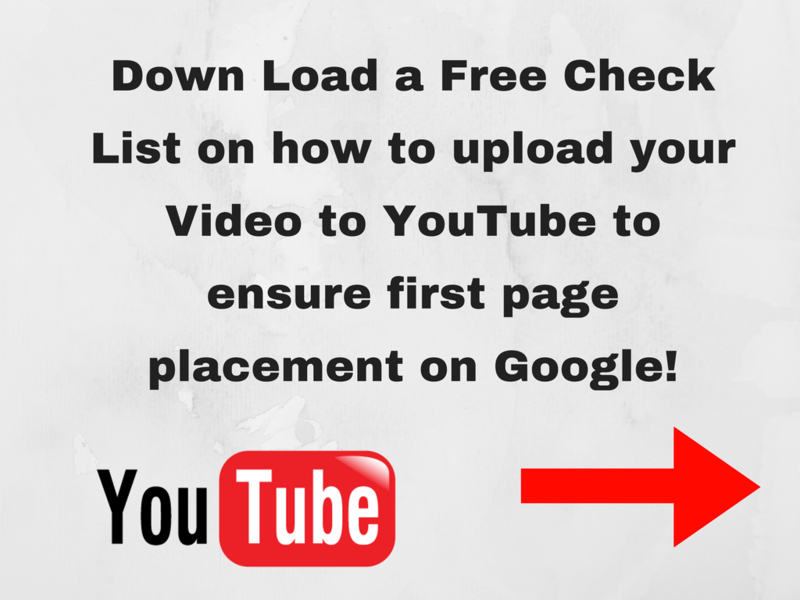 Click on the image below to download a free checklist to work off with. With that one video, you can create many purposes to market your video across many medias. All you need is your cell phone and you can create a video quick and easy. The video does not have to be that long, a good recording time frame is 3 to 5 minutes. Create a video that you know the product like a loan program, how the loan process work, how long it takes to buy a house, the possibilities are endless on what kind of an informative video you can produce.